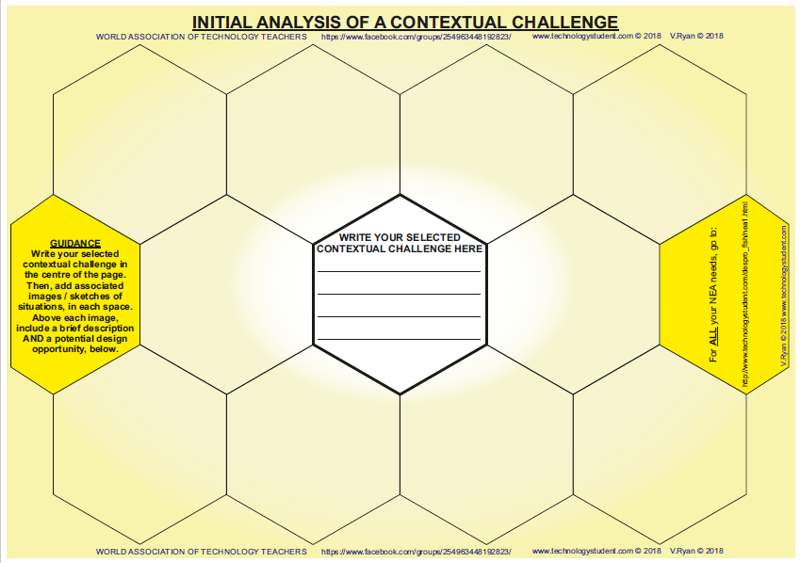 When starting the NEA, students will need to select a contextual challenge. Then, they will need to analyse the challenge for potential design problems to solve. 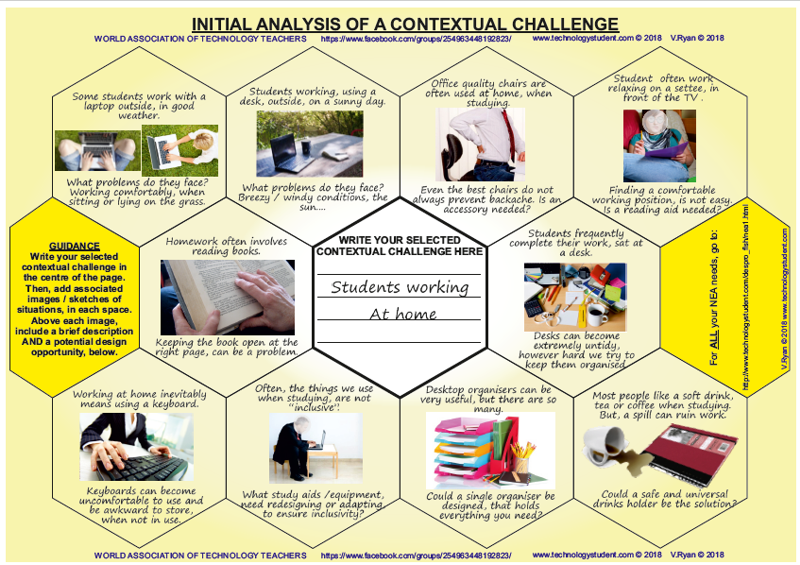 This is a sample sheet, showing one way of completing the challenge analysis. It also comes with two exercise sheets, for practice in class. 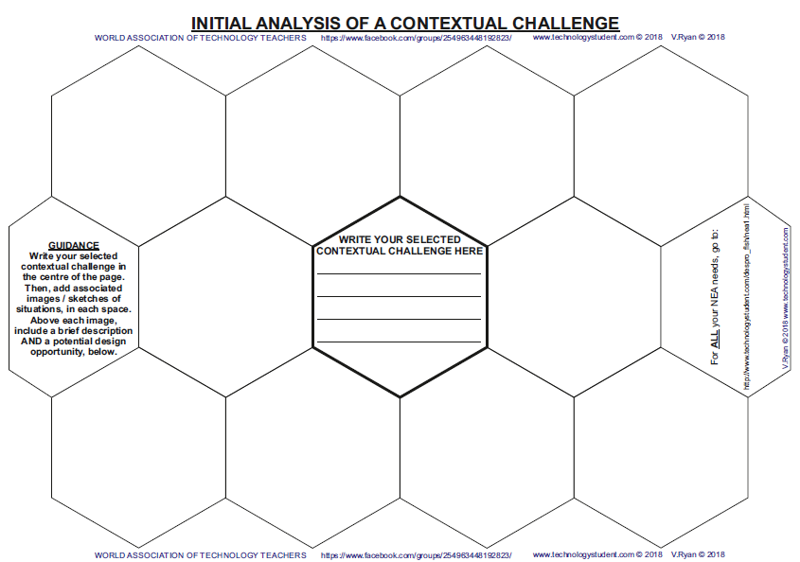 They could be used as a dry run at a challenge and as an aid to students, in helping them produce, their own layout to the challenge analysis.